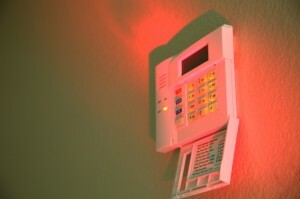 If you’ve ever tried to stop the shrill, continuous chirping of a security or smoke alarm, then you know there are few things more frustrating to deal with, especially at night. And since there are a variety of reasons as for why an alarm is beeping – safety risk, power outage, bad batteries, faulty sensors being among them – we’ve put together some general tips and strategies to help you silence it as quickly as possible. First, check your security panel (or whatever device is beeping) to see if it’s warning you about a legitimate danger such as fire, intrusion or a Carbon Monoxide leak. If that’s not the cause of the beeping, then check the batteries. Most panels and detectors continuously chirp when they need to be changed. Go through your home, checking all system batteries using a battery tester. If your system does not respond to any of the above methods, call your security provider. The problem could be faulty wiring, which is a job best left for those with electrical experience. Reputable security companies will help you troubleshoot over the phone and/or send out a technician to help with the problem. For more information about silencing or arming five of our most popular alarm panel models, see the Arming & Silencing Alarms page on our site. You can also contact our business office at 925-932-2211. Business hours are 9:00 a.m. to 5:00 p.m., Monday through Friday. Or, if you’re a Denalect customer, call our service department at 925-935-2680 between 9:30 a.m. and 4:00 p.m., Monday through Friday.